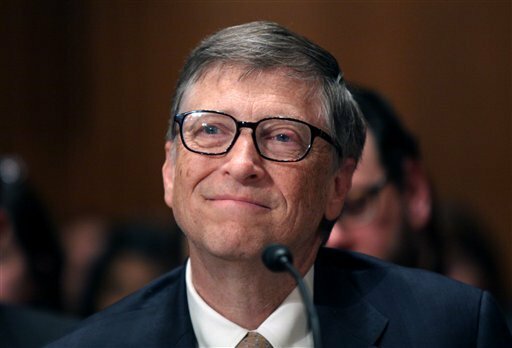 Microsoft cofounder Bill Gates was in Los Baños, Laguna on Wednesday in a rare visit to the headquarters of the International Rice Research Institute (Irri), a major grantee of the American billionaire’s foundation. Several sources working for Irri, located inside the compound of the University of the Philippines Los Baños, confirmed Gates’ six-hour visit to Los Baños, 66 kilometers away from Manila. The Microsoft cofounder has been in the country since Black Saturday, apparently escaping detection until he was sighted on Wednesday morning at Irri. According to immigration sources, William Henry Gates arrived in Puerto Princesa City on April 4 on a private jet with US registry number N887WM. “(He looked) just how he looked like in his pictures. Low-profile lang (only),” the source said. Last month, Gate’s Microsoft cofounder Paul Allen was in the news when he announced on Twitter that he had found Musashi, one of Japan’s biggest and most famous battleships, in the Philippines. Allen posted photos and a video online of parts of what he said was the battleship Musashi, found by his MY Octopus exploration vessel 1 kilometer deep on the floor of the Sibuyan Sea. Musashi was found some 70 years after American forces sank it during World War II. According to sources, who refused to be identified for lack of authority to speak to a reporter, Gates arrived at Irri around 8:59 a.m. on a Philippine helicopter. Gates visited Irri’s boardroom, Irri’s experimental rice fields and gene bank, and had lunch inside the compound. He reportedly left at 3 p.m.
“He is Irri’s biggest donor,” the source added.